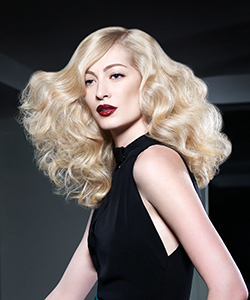 Take control of curls and waves with Joico's ultimate texture power couple: K-PAK waves and NEW Power Series. K-PAK Waves transform the texture of every hair type without damage, while the Power Series delivers ultra firm yet flexible hold to let you recharge and restyle curls and waves for up to 3 days of gorgeous, frizz-free texture. Submit a photo of YOUR best curls at the NaturallyCurly Facebook page for a chance to win a Joico product package valued at $800.00! Five randomly chosen winners will receive a Joico Product Package valued at over $140.00. iPad case, Year O Mag. Subscription, Tina Fey book "Bossy Pants," Sabrina Soto Home Design, Adele’s 21 CD, Giada De Laurentis' "Weeknights with Giada"